Young office worker in modern office. Photo courtesy of Shutterstock. Recent college grads seeking the opportunity to develop a wide variety of job related skills can do so by pursuing entry-level assistant jobs. That’s what Amanda Ponzar did in her first job as an administrative assistant. “It taught me business skills, computer skills, organization, project management, and how to work with others,” said Ponzar, who is now the Chief Marketing Officer of Community Health Charities, an Alexandria, VA-based non-profit federation that raises awareness and funds through workplace campaigns and strategic partnerships. From that job, Ponzar moved to a marketing assistant role with the Franklin Mint, a worldwide provider of fine art and collectibles. “I learned about marketing and advertising, and demonstrated curiosity, competence, dependability, and initiative, so I was soon asked to edit management letters and collateral marketing materials, and then was recommended by my colleagues for a copywriter job at The Franklin Mint’s in-house ad agency,” said Ponzar. That is when Ponzar’s career took off. She moved into advertising copywriter and marketing management roles, went back to school to earn a Master’s Degree in advertising and marketing, and is now a CMO of a non-profit. She credits her varied experiences as an assistant for her career growth and success. “I wouldn’t be where I am today without those first entry-level jobs as an assistant that helped me define my career path,” said Ponzar. College students, and recent college grads should consider assistant jobs as a way to get their foot in a door at a company they would like to work with, or to build important job skills. While most college grads don’t get a degree aspiring to be an assistant, think long-term. Assistant jobs help provide a paycheck to start paying off school loans or debt (and help achieve financial independence to not live at home), and/or provide real world experience and a chance to build important job skills. In addition, it’s a great opportunity for the recent college grad considering grad school to gain work experience before taking the next step of their career. Many assistants could also work with companies as they pursue advanced educational opportunities – and maybe the employer will also help pay for it through tuition reimbursement programs. Building a variety of marketable skills is important, and assistant jobs provide a great opportunity to do just that. 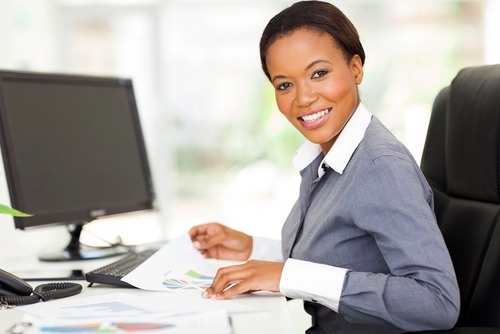 Assistants have unique opportunities to be exposed to all facets of a business, says Brandi Britton, District President of OfficeTeam, a leader in the placement of highly skilled office and administrative professionals into administrative assistant and front office jobs. Assistant jobs are in demand at small and large companies, non-profits, startups, Fortune 500 and Silicon Valley firms. Companies like Google, Facebook, and other leading tech firms all succeed because of good assistants. Time and project management: Assistants often have to keep on top of executives’ schedules as well as project timelines. Let’s not forget that assignments come their way from every direction. That’s why assistants are masters of time and project management, organization, multitasking and adaptability. Continual learning opportunities: You become well-rounded because you’re able to work on a variety of tasks – everything from event coordination to presentation decks. Once you figure out the types of projects you like most, you can hone your skills and consider moving on to a more specialized role in the organization. Budget and negotiation: When you frequently speak with vendors and make purchases on behalf of the company, you quickly become skilled at budgeting and negotiation. Verbal and written communication skills: Assistants are in constant contact with any number of internal and external contacts. If you’re in the role long enough, you’ll develop strong verbal and written communication skills. Specialized skills based on organization/industry: Being an assistant in a specific department or industry exposes you to the day-to-day operations and provides insight into that area’s lingo, processes and technology. Inside company knowledge: You gain knowledge into colleagues’ work styles and the corporate culture, which gives you an advantage at the company if you hope to advance there. Alissa Carpenter founded Everything’s Not Ok and That’s OK Coaching after over a decade in higher education. She has advised Millennials and GenZ students at institutions such as The Wharton School and Penn State. Interpersonal skills: You will be working with people from various levels both in and outside of your organization. You will learn to ask appropriate questions to find the most effective way to complete your tasks at hand and build strategic working relationships. Teamwork: In one of the key positions that is crucial to putting events and tasks together, you will learn how to delegate and how to work with people with varying personalities. Communication skills: As a key point of contact you will quickly learn the most effective ways to communicate with individuals and how people like to receive communications. Utilizing a role as an assistant to get where you want to be later in one’s career can really be a asset to entry-level jobs seekers, says Lori Williams, Recruiting Coordinator for College Nannies, Sitters, and Tutors of Edmond, Oklahoma. Look for assistant jobs right now on College Recruiter! Want more tips and advice on how to build career and job skills? Then stay connected to College Recruiter by visiting our blog, and connect with us on LinkedIn, Twitter, Facebook, and YouTube. Robin Rectenwald has a full-time job working for WordWrite Communications a Pittsburgh, Pennsylvania public relations firm, that she absolutely loves. But that hasn’t stopped her from finding unique side jobs to help pay off her student loan debt. Rectenwald graduated from Duquesne University in 2012 with 20 different student loans and $100,000 in loan debt. Now, in 2017, she only has five loans left, and is quickly whittling down the amount she owes. Before landing her first full-time job in 2012, Rectenwald worked part-time as a customer service representative at Gateway Clipper Fleet, a Pittsburgh sightseeing organization. She worked in the ticket and sales office, where she learned about marketing, sales and customer service – all valuable skills in her current role – and for any future opportunities. She worked for Gateway Clipper Fleet for four years, using that money to make extra payments towards her school loans. Rectenwald recently switched to a new part-time job as a customer care representative at ShowClix, a ticketing software company. For this job, she works from the comforts of her own home answering phones and responding to emails from customers looking to buy tickets to international events. Rectenwald takes these part-time jobs seriously, and puts in maximum effort – something her managers have noticed. She was offered a full-time job in the marketing department at Gateway Clipper Fleet, and is writing a crisis communication plan for ShowClix as part of her grad school program. And it’s also helped her greatly reduce her student loan debt, and time it would take to pay the loans back. That’s what Eric Hian-Cheong is also trying to accomplish. He works full-time for a public relations firm in McLean, Virginia, but also has two, unique part-time jobs. He makes $11 an hour as a part-time rock climbing instructor at a local fitness center, and also works as a second shooter/assistant to a local wedding photographer. “Why limit yourself to just one other part-time job?” said Hian-Cheong. 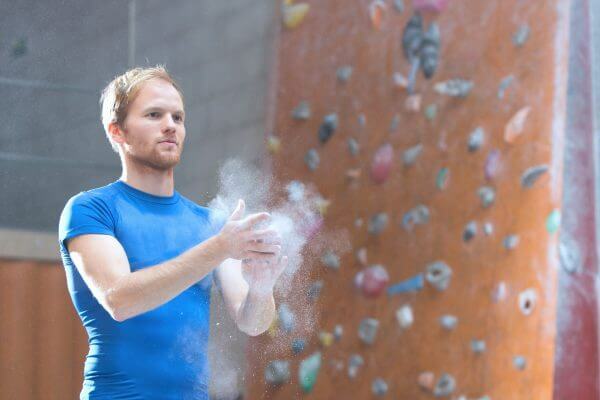 He works up to 8 hours a weekend, and nets up to $400 a month as a rock climbing instructor – which is right around what he pays each month for his student loans. That job also provides a free gym membership – saving him another $95 a month in gym membership fees. These jobs have helped Hian-Cheong improve his self-confidence, he says, and also provides an incredible social life outside of the 9-to-5 job. “I have several friends whose social lives revolve around their 9-to-5, which can get a little unhealthy at times,” says Hian-Cheong. It’s also helped him network and communicate with a wide variety, and diverse group of people, helping him develop communication, interpersonal, critical thinking, and speaking skills, as he must provide instructions, detail, and clarity, when instructing individuals and a class.